The PR event for this collection was held on a particularly miserable day right before Christmas. It was strange to be looking at Spring makeup when Christmas was all around, but it was beautifully put together event, held in the ever-lovely penthouse suite of the Morgan Hotel in Temple Bar, and for a couple of hours we all forgot that Christmas was happening outside, and stepped a season into the future, with pinks and pastels abounding. Hosted by Clarins National Makeup Artist and my namesake, Siobhán O’Mahony, we looked at the loveliness that will be out on-counter for Clarins just this week. Starting at the very beginning, this season will see a refocus/repackaging of Clarins iconic Instant Smooth Perfecting Touch primer. My absolute favourite primer of all time, this stuff is hands down the single best primer on the market (and I've tried most of them out!) for all age groups, for all skin types. It's the primer that I use on brides. It doesn't flash-back. It blurs imperfections perfectly. It provides the best base for any makeup that follows of all primers I've used. Highly recommended. Not a new product, but the one primer I will always recommend without hesitation. A re-formulation this time, this one is a highlighting illuminating light-radiance-boosting heap of yumminess. 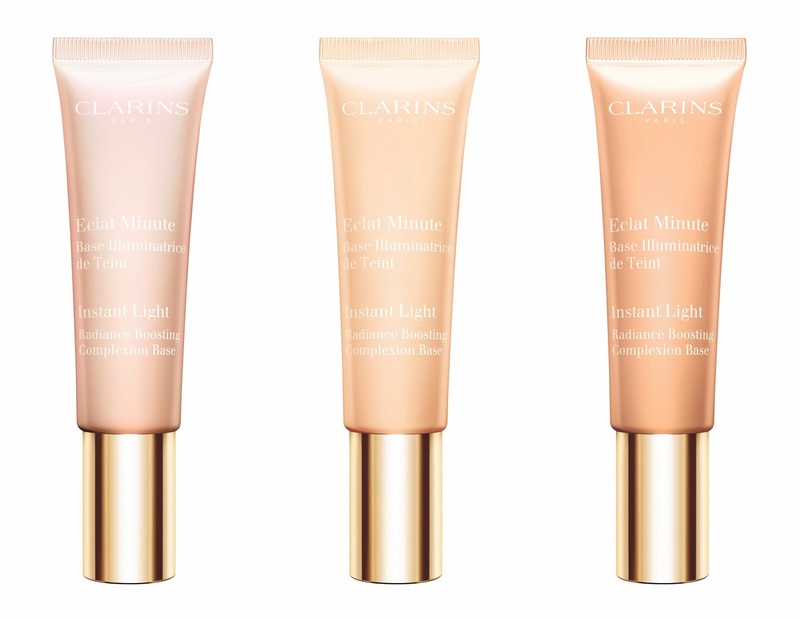 It comes in three shades - the lightest is a pink-toned illuminator designed to suit very pale skins, the middle shade is slightly golden-toned and should suit "most" pale-medium skins, and the darkest is peach-toned and more suited to tanned complexions (I have the darkest, Peach, to try out - I'll get back to you on it). I love illuminators so I'm looking forward to trying these out... these ones are €30. The re-formulation of these includes colour correctors at their base and, as with most Clarins cosmetic products, skincare products to make them inherently suited to all including the most sensitive skin. 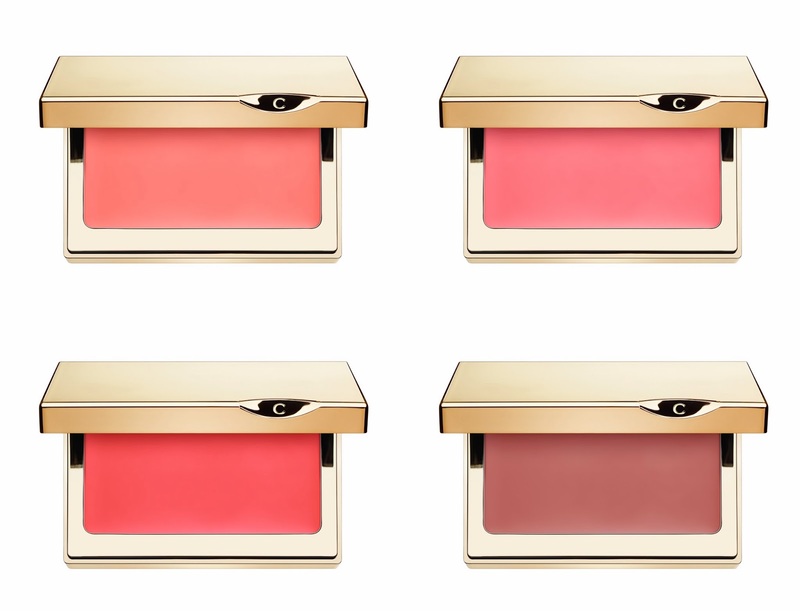 At €22 each, these are pure silk - they are completely new cream-to-powder blushes that can also be used as lippies. MontyC already reviewed Candy (look here), I'm personally dying to try Grenadine out. I'm very familiar with cream blushes and love them for the really natural flush they give your cheeks, but the finish of these is amazing, a just-off matte that glides on like absolutely silk and satin, and is absolutely weightless on the skin. Gorgeous. The LE face powder from the collection, Opalescence Face & Blush Powder, will set you back €37 and will double up as a finishing powder or as a bronzer (when swirled together) or as a contour (if you use the cooler toned shade on the bottom right of the palette. Looks cute too! The collection sees three new shades of lippie at €21: Clarins' Joli Rouge Brilliant Perfect Shine Sheer Lipstick in 19/Tropical Pink, 20/Coral Tulip, 21/Pink Orchid - these are really lovely sheer lipsticks for a hint of colour while being really nourishing, almost like a tinted lipbalm really, and also two new Gloss Prodige Intense Shine lipgloss shades at €18.50 - one completely clear ultra-glossy lipgloss 12/Crystal, the other 11/Coral Tulip, matching the lipstick of the same name and shot through with a gorgeous gold hint. At €19 each, 17/Smoky Plum is a new shade (watch for a review on this one soon), whereas 04/Golden Rose is re-promote. These are Mineral Eyeshadows and can be used dry, damp or wet for varying intensity. Most makeup collections will feature one or two showcase products at their core and the LE Clarins Eye Quartet Mineral Palette in 12/Vibrant Light, at €41, contains gorgeous pink, grey, plum and ivory glitter shades to bridge the gap from Christmas to spring. This one was reviewed by MontyC yesterday (look here) who loves it, and I can see why. Again, as these are mineral shadows, they can be worn wet or dry. I think it's one of the prettier palettes around, although I know MontyC wasn't crazy about the glitter shade, I am falling back into love with glitter lately. 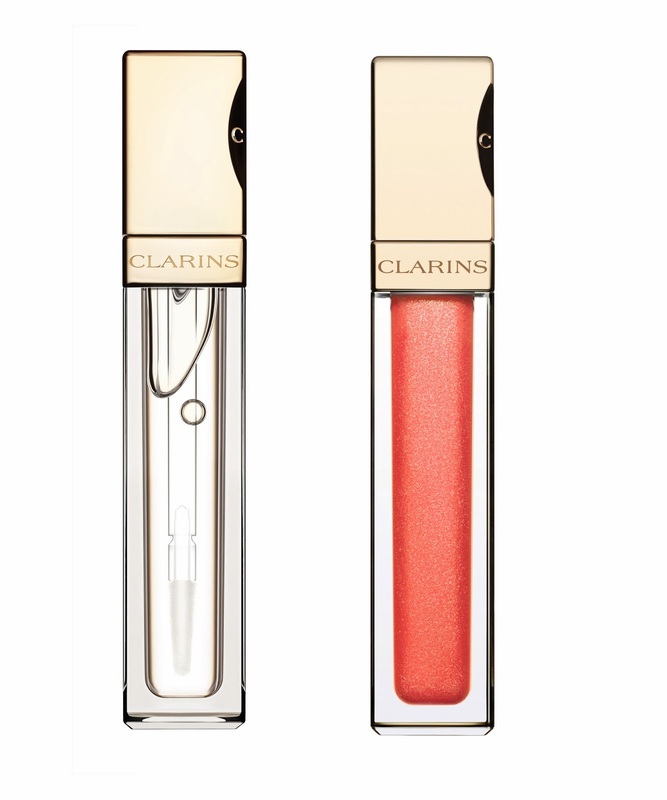 No collection would be complete without an eye-framing mascara, this addition to the collection is a re-promote of an existing product, Clarins Instant Definition Mascara 01/Intense Black. I love this mascara as it gives great length and volume with no drying or flaking or clumping. The brush is an interesting clever shape and has a medium-sized wand for "normal lashes" with a smaller wand at its tip for smaller/bottom lashes. And that's it - plenty of nice things to go have a looksee at one they hit the counters, anytime from this week on really (according to press releases it's due out "sometime between 13th and 17th of January", mind you I've also verbally been told 02nd February - either way - soon). Promo - Vichy Mothers' Day Offer!